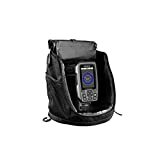 Garmin is one of the biggest manufacturers of fishing electronics, and their lineup of fish finders and depth finders are some of the most sought after by enthusiasts. There’s a reason why they’ve been around this business as long as they have as they’ve proven time and time again what innovative fishing equipment is all about. Garmin fish finders continue to reinvent the industry while introducing what professionals need and what beginners have come to appreciate the most. Garmin fish finders and depth finder combos take the guess work out of fishing, which in-short, makes fishing one of the best sports around. Giving users the ability to see and do what once was unimaginable has made these pieces of equipment a must-have among fisherman. There’s no reason why getting reliable, dependable, proficient, and durable fish finders have to cost a fortune which is the purpose of the following review. Below, we take a closer look at the Top 5 Garmin Fish Finders in 2018 allowing you to get what need the most. 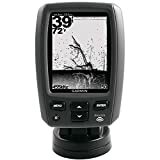 Hands-down, the top rated Garmin Fish Finder is the Striker 4 which has become a best-seller on Amazon with well over 250 all-positive reviews. This compact unit does all the work as the big boys while costing much less giving you a bright 3.5-inch color display along with a high-sensitivity GPS unit, and CHIRP for superior underwater performance. The Striker 4 is nothing like you would expect at this price which is why it deserves the top spot in this review. Some of the highlight features include the intuitive and easy to use keypad operation. Not too big and not too small is what anglers have stated giving you all the control you need right on the front. Included is the 3.5-inch CHIRP fish finder with GPS, CHIRP sonar transducer, and you can upgrade to a higher performance CHIRP with the optional GT8 or GT15 transducer. Another high-quality Garmin that won’t cost you a fortune is the Echo 200 which is highlighted by a larger, 16-level grayscale display. Sporting a display HVGA resolution of 320×480, this fish finder boasts plenty of visuals to see what you need, anywhere you need it. The intuitive operation is set-up by a push button operation with four simple buttons that provide everything you need right on the front. The Garmin Echo 200 includes a DownVu transducer along with mounts for the transom and trolling motor. The mount also features a quick release with tilts giving you optimal viewing from any customized angle. With a 5-inch display which gives you narrow to wide viewing which gives you a clear picture underneath the boat to a depth of 1750 feet. For those looking for a bit more versatility, meet the Garmin Striker 4. This portable fish finder offers a simple user interface with dedicated buttons giving you all the control you need. Simple to install with an easy to use interface which is available in 3.5, 5, and 7-inch displays giving you plenty of options to choose from. This model is an all in one solution for those looking for portability making it ideal for jig or ice fishing. The Garmin Striker 4 is highlighted by a Waypoint map which makes it easier to navigate and save locations such as stumps, docks, and brush piles. The Chirp sonar provides a wider range of scanning and works continuously while sweeping frequencies. Outfitted with a flasher that’s built right-in which makes viewing in the classic flasher format possible which is better for ice and vertical jig fishing. 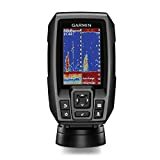 For those looking for something with a color display while staying within budget, than this Garmin fish finder is for you. The Garmin Striker 5DV gives you the visuals and functionality of fish finders priced hundreds more which is highlighted by a rugged design which makes it recommended for use in any environment. The built-in high-sensitivity GPS receiver allows you to mark your favorite fishing holes and return to them at anytime. 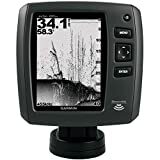 The Garmin Striker 5DV fish finder is a high-quality unit which has become one of the top sellers by one of the most reputable companies on the water. With features including a Waypoint Map, Chirp Sonar built-in flasher, GT20 transducer, and a 5-inch color display, you’ll be hard-pressed to find anything close at this price. This budget friendly Garmin fish finder comes complete with a transducer and is highly recommended for those looking to get on the water without costing a fortune. This Garmin Echo features connectivity for use in both the US and Canada and does wonders with finding fish and mapping out underwater terrain. The DownVu transducer transom mount also features a mount for a trolling motor for those looking to move inshore as well as off shore. The Garmin Echo 151dv comes in competitively priced and is priced to sell for just over $100. Not bad considering it comes with all-positive reviews and comes with everything you need out of the box. Included is the transducer with an 8-level grayscale with a 160×256 display resolution, power cable, quick release swivel mount that tilts, and more. Feel free to come back and share your experiences with the rest of the community after you make your purchase on one of the best Garmin fish finders this year. If you have any questions, feel free to leave you comments below. Nice article! Your article always inspire me more on fishing! Thanks for sharing! Great post about best fish finders available on the market. It is very helpful for a beginner like me. After reading this article, I have decided to pick Garmin Echo200 from your list. What do you say about my choice? Thanks for sharing.